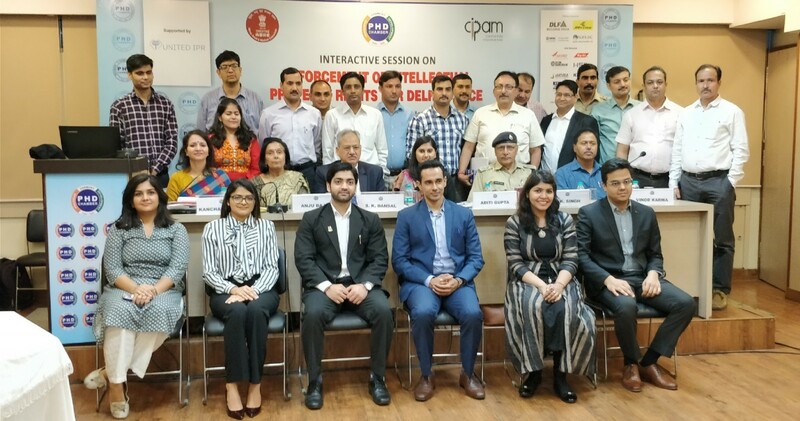 The session included discussions on practice and procedure that needs to be followed by the Delhi Police while conducting search and seizure actions under the Trademarks act, 1999 and the Copyright act, 1957, read with relevant provisions of the Indian Penal Code, Code of Criminal Procedure and the Evidence Act. It highlighted specific issues faced by the Delhi Police while enforcing the laws and in effective prosecution of a given search and seizure operation. In addition to discussion on statutory provisions and important concepts pertaining to the market raid actions, the focus centered around relevant notifications, case laws and other legal principles dealing with both Civil and Criminal enforcement of Intellectual Property Rights supported with illustrations and case studies by way of product identification presentations of L’Oreal, P&G, Nivea, Apple, Lacoste, Gant, Dita, Vans, Skullcandy, Fendi, Burberry, Monster, LVMH Watches Brands, Limited Brands, Polo Ralph Lauren and Coty.